Attending live concerts in person can be truly special. It is not every day that you get to catch your favorite band or artist visiting your hometown. Even if you are not able to attend concerts in person, you can rely on apps such as the Concert Vault for iPad to keep up with them. This application brings exclusive live concert audio and video from the ’50s to today. Concert Vault is not a free app but you can test it out for free. Your membership gives you access to thousands of concert recordings in 320 Kbps audio and video. 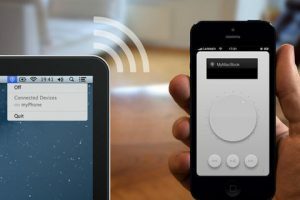 The app comes integrated with AirPlay, so you will be able to enjoy your favorite content on larger displays. You can go through the music in this app by genre and enjoy photos on the side. 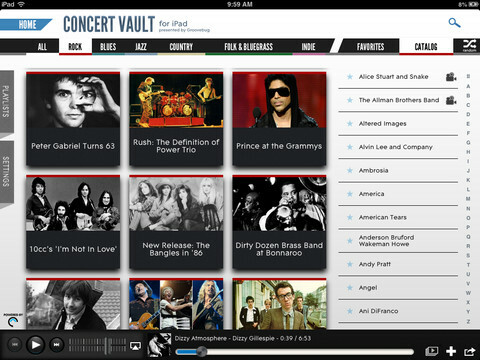 Concert Vault is an iPad app but you will be able to access your subscription on the web. 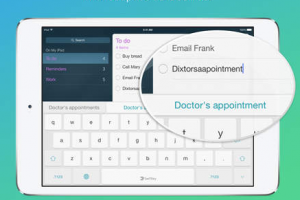 The annual plan costs you $39.99 but you could sign up on a monthly basis for $3.99 to test it out. If you enjoy listening to concerns from the past and present and don’t mind spending a bit of money to get your hands on a nice collection, Concert Vault is worth checking out.